The Faculty of Film, TV & Media at GNA University conducted an outdoor sketching activity for the students of Integrated B.Sc & M.Sc Animations (Semester 2) and B.Sc Animations (Semester 2). 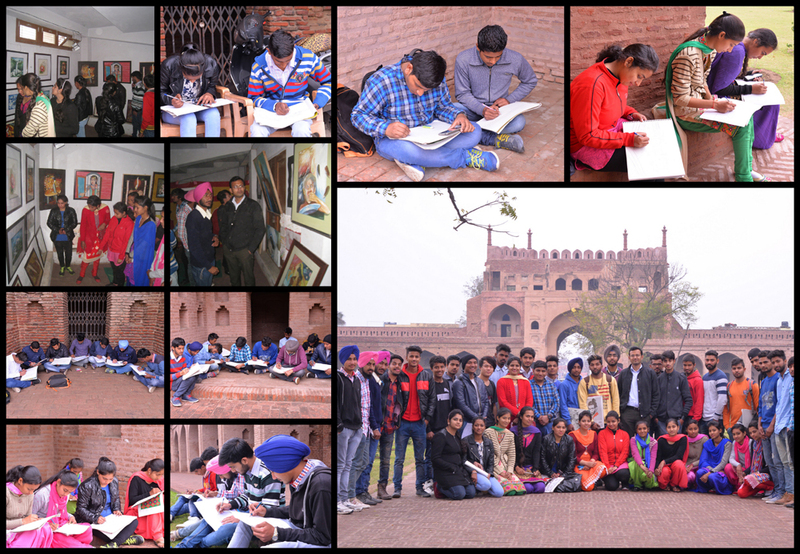 The students visited Sarai Nurmahal, also known by the name Mughal Sarai, an inn of historical importance located at Nurmahal, near Jalandhar. It is a noteworthy specimen of oriental architecture and is perhaps the only known monument in Jalandhar. It is now looked after by the Archaeological Survey of India.